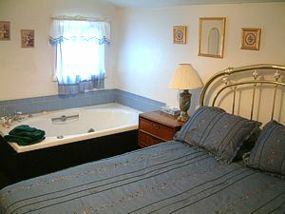 The Cottage has a Queen size bed, TV/DVD and jetted tub. It includes the use of the mineral pools as well as a buffet breakfast at the main Inn. 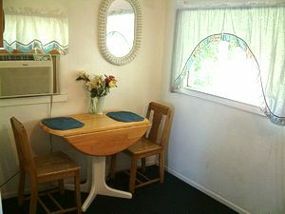 Located 1/2 block from the main Inn. Call for Rates - 800-527-5830 or 208-776-5830. Cottage Bedroom - 1 Queen Bed. Sleeps 2.